New Delhi: The Union cabinet deferred a decision to introduce in Parliament a Bill that would have hiked foreign direct investment, or FDI, in the Indian insurance sector to 49% from 26%. 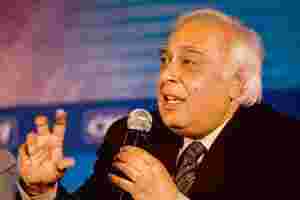 Kapil Sibal, Union minister for science and technology, said the introduction of the Insurance Laws (Amendment) Bill, 2008, in the Parliament session resuming on Friday was not discussed as finance minister P. Chidambaram could not attend the meeting. “The cabinet committee on economic affairs gave its approval for incentive bonus of Rs50 per quintal on paddy over and above the minimum support price for the entire kharif (summer) marketing season 2008-09," Sibal said. Sibal said the additional incentive has been provided to boost procurement as well as production. CCEA also gave its approval for the construction of a greenfield airport at Pakyong in Sikkim. It also gave its approval for continuation of the expansion of the Integrated Child Development Services scheme, which aims at establishing new ‘anganwadi’ ‘centres that cater to the needs of children aged between 3 and 6.